The last time Guam participated in Miss World was in 1996 and they are ready for their return to the international pageant. The American territory produced four semifinalists and two runners-up. One of the runners-up, Kimberly Santos, went to become Miss World 1980 after Gabriella Brum resigned 24 hours after winning the crown. Madeleine Z. Bordallo, who is Guam's delegate to the United States House of Representatives, is the honorary president of the Miss Guam World organization and the franchise holder of the international pageant. For the last 15 years there hasn't been a Miss Guam World pageant due to Bordallo's political commitments. Recently, Linda Salas and Pinki Lujan approached Bordallo interested in doing the pageant again. They agreed and the pageant was relaunched. Salas is the president of Beauty World Guam Limited and is also the president of the board of directors of the pageant. Lujan serves as the pageant director. 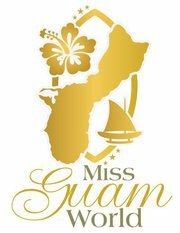 The search is on for contestants for Miss Guam World 2011. Contestants must be between the ages of 17 to 24, never been married, no children and must have be a U.S. citizen with a passport. Last day to apply is June 30. As we previously reported, Miss Guam World 2011 pageant will take place on August 31 at the University of Guam Fieldhouse in Mangilao.